What Malaysia Is Doing Is Tantamount To Economic Strangulation – Sinking It In! On 9 February, Malaysian vessel Polaris and a Greece-registered bulk carrier Piraeus collided in Singapore territorial waters off Tuas. The area in which the collision took place has been the centre of a diplomatic dispute between Singapore and Malaysia since November last year, when Malaysia unilaterally decided to extend its port limits into Singapore’s waters. 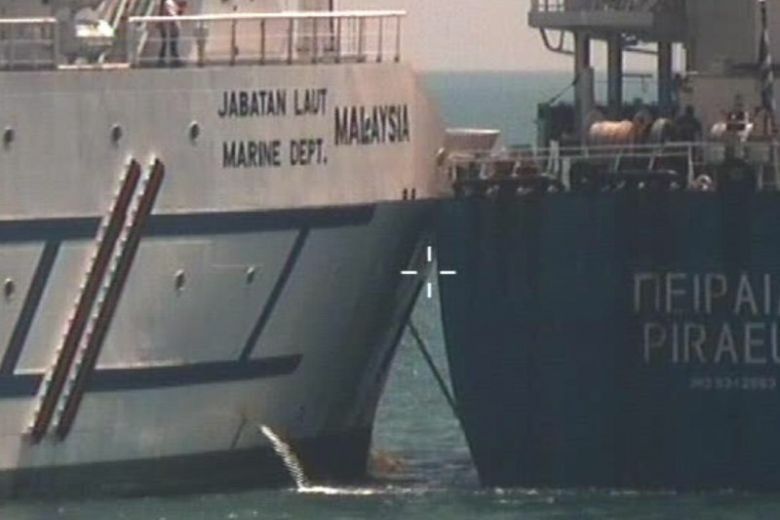 After the collision took place, Singapore’s Maritime and Port Authority (MPA) issued a statement iterating that the collision took place in Singapore territorial waters off Tuas. However, Malaysia’s Marine Department disputed MPA’s statement, saying that the collision took place in Malaysian territorial waters instead. Since November, Malaysia’s vessels have been parked illegally in Singapore’s waters, despite repeated calls by Singapore to move out of the area. Transport Minister Khaw Boon Wan had warned that the presence of unauthorised vessels in Singapore’s waters could pose danger to all ships in the area. It seems now that the inevitable has happened, as the presence of unauthorised ships have caused confusion to other vessels passing through Singapore waters. This might be part of the plan for Malaysia, to disrupt Singapore’s shipping routes by parking their vessels in our waters. They are well aware that Singapore’s port is of critical importance to our economy. By creating disturbances in our waters, they are effectively making us a less attractive and viable port of call for international ships. This would directly impact our economy if Singapore is no longer the port of choice for ships passing through this region. It is no surprise if this is yet another trick in Mahathir’s books, as this is not the first time he has resorted to such tactics. If such incidents continue to occur, what Malaysia is doing no different from economic strangulation. However, what they fail to realise is that such tactics will eventually affect Malaysia as well in the long term. Malaysia should play fair and get back on the negotiating table to deescalate the conflict amicably, instead of allowing one man’s jealousy to damage bilateral relations and economic progress for all in the region.